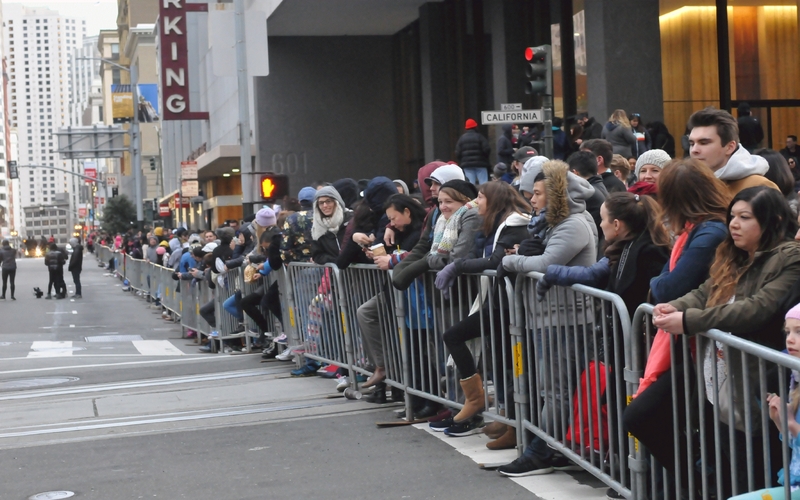 Uniformed police watched the crowd and monitored a gap in the fence to insure nobody would cross during the parade. The spot reserved for press photographers was across from check in point for the bleachers. That reserved seating was to the left of this shot. 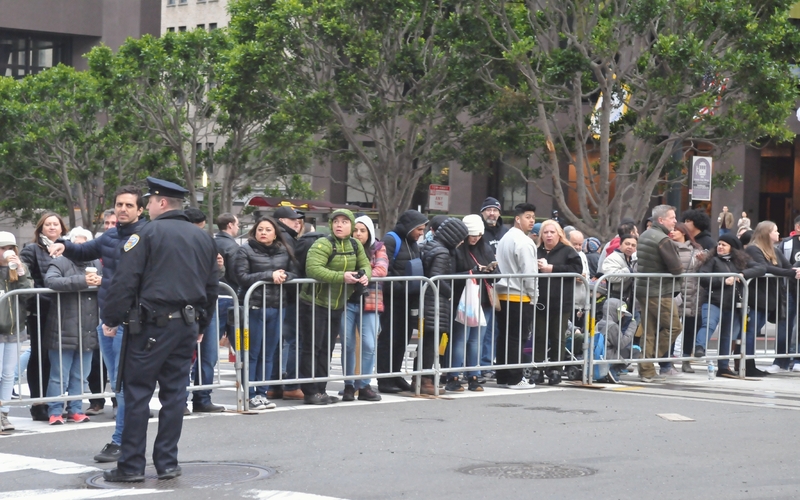 The fence, holding crowds back from the parade route, crossed California Street. 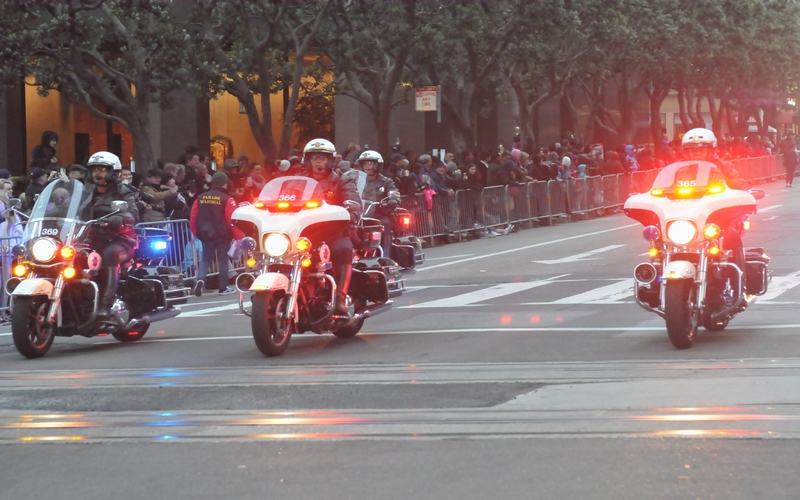 Several motorcycle police rode ahead of the parade to insure that the route was clear. 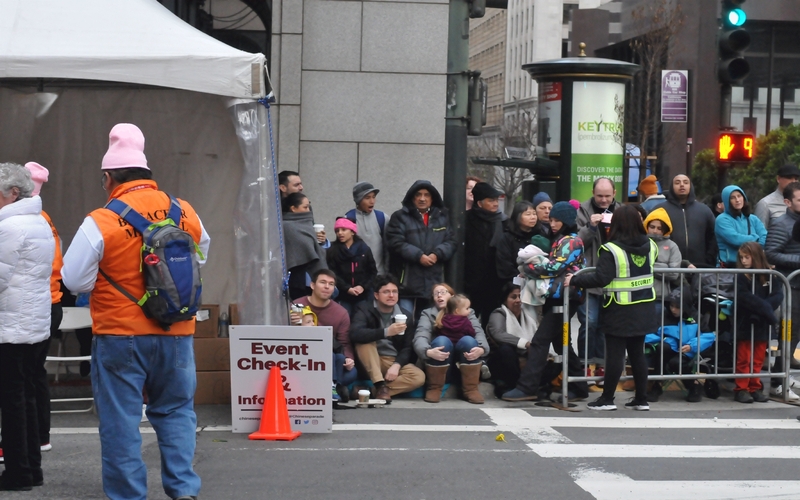 They paused at California street and waited for a few minutes for the parade to catch up. 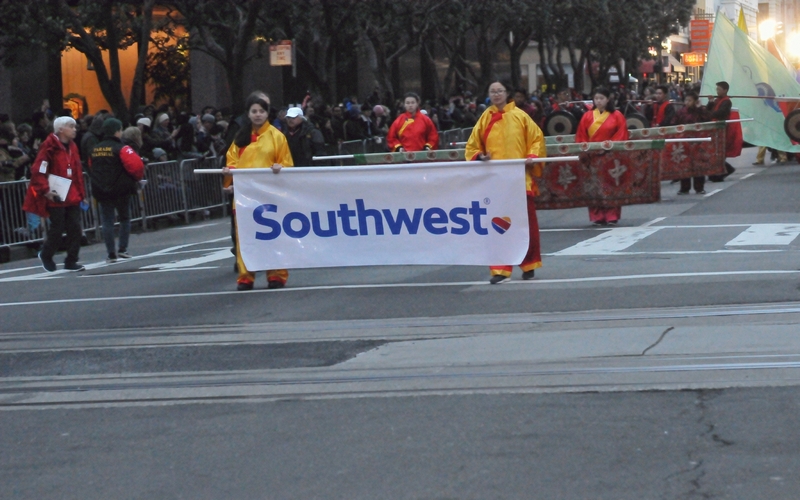 The sponsor of the parade, Southwest Airlines, led the parade. The actual parade followed this prologue.